They are Fun and You Learn Something Too. | "Northern Crossings"
They are Fun and You Learn Something Too. Northeast Zone had a wonderful rally last fall in which Deaconess Faith Swenson gave a presentation on her work within local congregations, as well as her visit to Chile. We learned the important and varied work that the deaconesses do in our church body. We were able to hear a report from Pastor Suelzle the new chaplain at Wittenberg chapel in Grand Forks when he informed us of his work and the needs of that specialized ministry within our District and our Circuit. We also had a wonderful opportunity presented to us from Pastor Chepulis, Pastor at Our Saviors in Cavalier who gave a wonderful and fun presentation on Katie Luther and her contributions to the Reformation and her very full and interesting life. 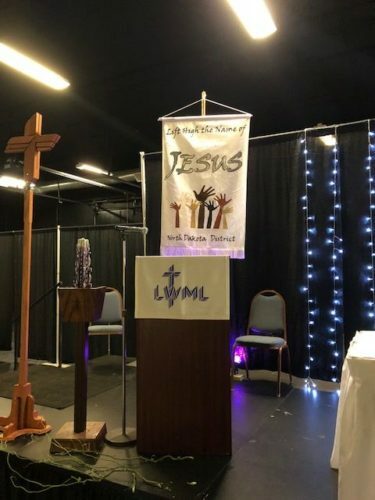 The LWML rally’s which are held in every circuit are wonderful events and worthy of your attention.